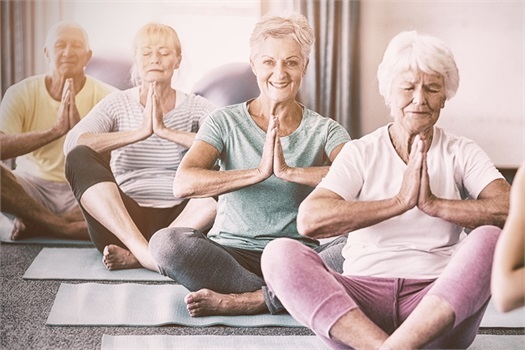 Research has shown that roughly 10,000 people in the U.S. will turn 65 each day through 2029¹, Every Day! But unless you are seeking reduced Social Security Benefits, you cannot receive full benefits until you reach your Full Retirement Age, which is 66 for those born between 1943 and 1954. As fewer retirees have the luxury of defined pension plans (guaranteed payments from ex-employers), more emphasis is placed on Social Security benefits as a secure source of retirement income. 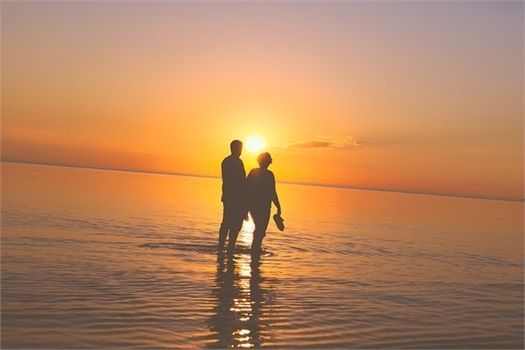 Financial planning for social security involves maximizing the income benefits by choosing the optimal claiming strategy for individuals and couples. The basic decisions involving your Social Security benefits may be straightforward enough, but in some cases, thoughtful planning may create substantial lifetime savings. Please review some of the main topics of Social Security below and feel free to contact us if you have a question or would like to meet with us. 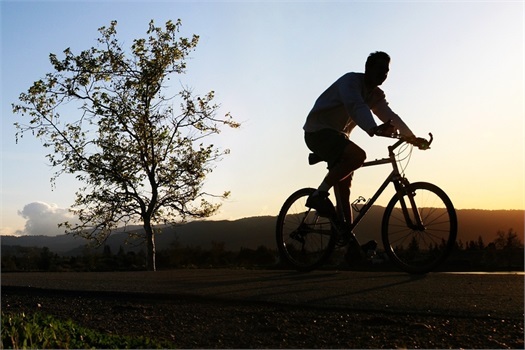 Spousal Benefits can be received by a spouse or an ex-spouse. Generally, you must be at least 62-years old but you may qualify at any age if you are caring for dependent child. Survivor benefits may be available to spouses, ex-spouses, dependent children, and dependent parents. 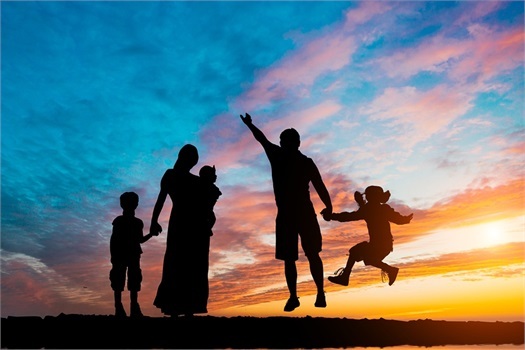 Dependent benefits can be paid to children who have lost a parent prematurely, or paid to a child whose parent is simply retiring and eligible for retirement benefits. 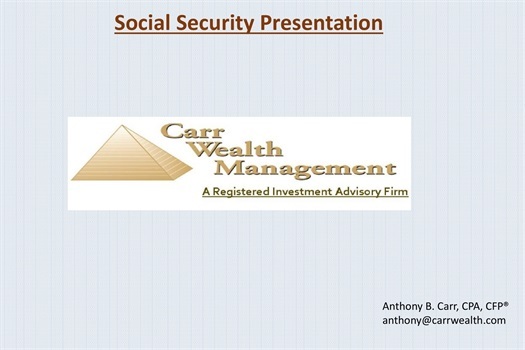 View a slide presentation created by Carr Wealth Management, LLC, that covers the main topics of Social Security, including examples. Carr Wealth Management, LLC, specializes in helping people pursue their financial goals with knowledge-driven solutions, not product-driven. Anthony Carr, CPA, CFP®, owner, has dedicated his career to helping people make better financial decisions. An area such as Social Security requires knowledge in various financial areas, including taxes. The decisions made today involving your social security can have an impact on future monthly income for the next twenty to thirty plus years. If what you are seeking is an hourly-fee service that can provide quality advice in small projects (one or two hours) to longer more comprehensive planning, please contact us to schedule an appointment or if you have a question about our services.